Annual mallow (Lavatera trimestris): growing, planting, caring. Flowers - as its latin name suggests - for a whole quarter! Lavatera trimesis - the annual mallow - is a species in the large great malvaceae family - mallows, altheas and hibiscus! - as the resemblance of their flowers suggests. Lavatera trimesis, commonly called annual mallow, is part of the great Malvaceae family - rose of sharon, tree mallows, Chinese hibiscus! The flowers look alike! Annual mallow does not tolerate transplantation. Sow in open soil in mid-May, with several seeds per hole, under a centimeter of light soil. Soak the seeds beforehand during a full night, to speed up germination. All soils are suitable for the annual mallow provided they are not too rich - at the risk of favoring leaves, to the detriment of flowers! A sunny and sheltered from strong winds spot is ideal. annual malva spring up spontaneously if the soil is not disturbed during winter. Once emergence is well advanced, you can thin your young plants. This consists in removing the most fragile and the too tight plants. Keep a dozen plants per square meter - well distributed! For a beautiful flowering, the soil must remain fresh, even wet; do not hesitate to mulch your plants! Do not mulch until plants reach 15 to 20 centimeters high. 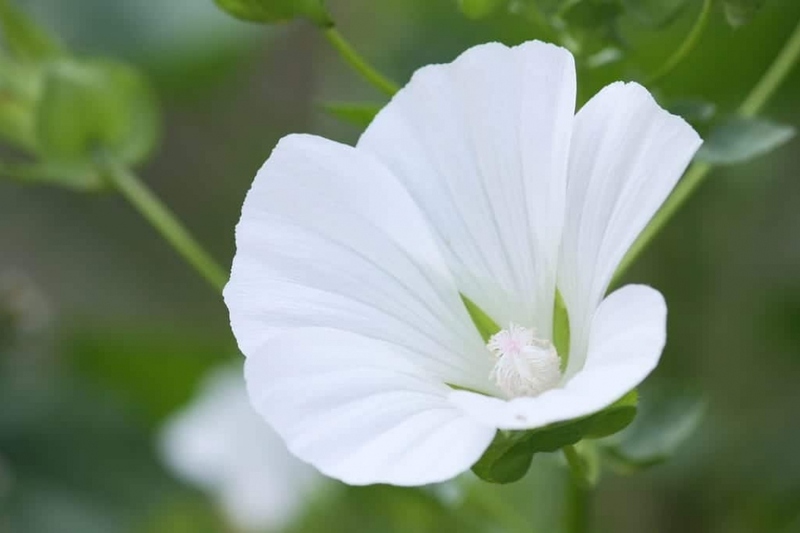 Some annual mallow can reach 1 meter high; if they are placed in a windy spot, stake them. A simple bamboo stem and a few lengths of raffia should do the trick! Annual mallow does not support dryness: keep the substrate cool and moist. Depending on the growing conditions (pot or soil, recent rain ..) this can lead to a watering per week. Your annual mallow will all fade before the frosts. After the bloom, clean the plots to welcome new plants in the fall. Gently pull on the plants that must come gently, including roots - or use a spade if it resists! In regions with mild climates — where it doesn't freeze! — your plants will reseed themselves on their own. Otherwise, let the flowers dry until they're ready to fall, then collect the seeds and allow them to dry for a few days more in the sun.